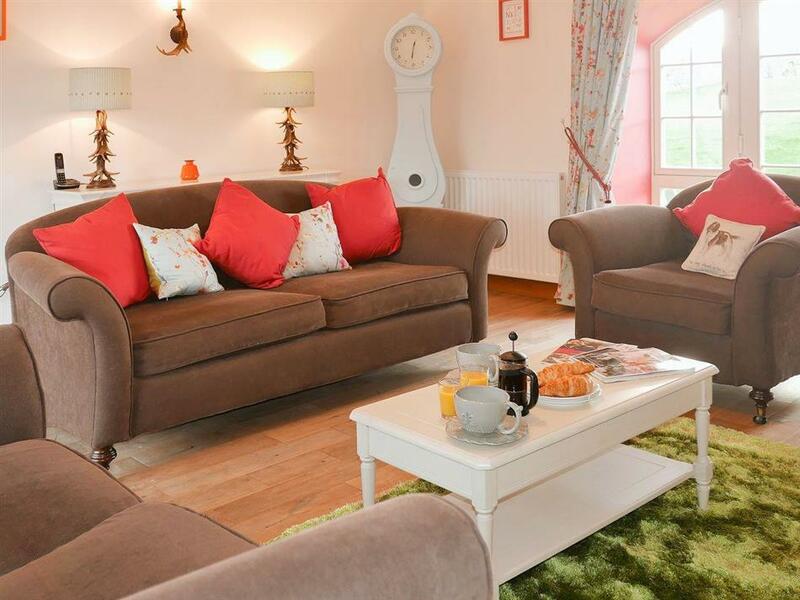 Beehive Barn in Beal, near Berwick-upon-Tweed, Northumberland sleeps 6 people. Beehive Barn near Berwick-upon-Tweed is just a few minutes’ drive inland from the ever-fascinating Holy Island; Beehive Barn is an exceptionally well furnished, semi-detached property that has been well equipped for a superbly relaxing holiday. The generously proportioned living areas open out onto the large enclosed garden where the sun bathes the sheltered patio in the afternoon and evening. There is a cosy wood burner in the living room and another comfortable social seating area in the kitchen (which has granite worktops), so the cooks need never feel abandoned. The garden has views of the surrounding countryside and across to the coast, as well as distant views of Bamburgh Castle and closer views of Lindisfarne and its causeway. 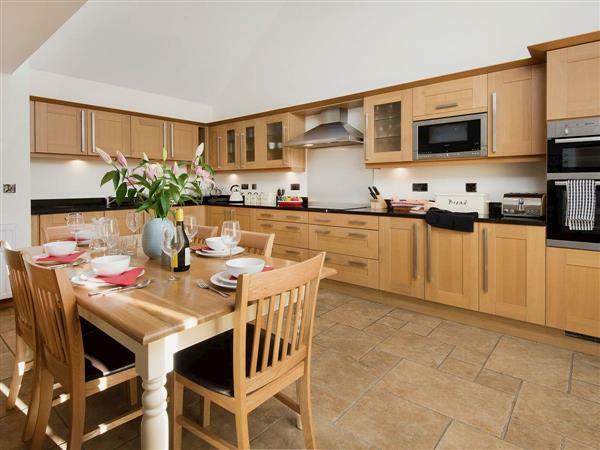 Great care and attention to detail throughout the property ensures your enjoyment of this lovely region of the Northumberland coast with its almost empty sandy beaches, ancient castles and links golf courses. You can also enjoy diving in crystal clear waters, boat trips to the Farne Islands, exploring the Cheviot Hills fishing locally. There is also ample cycling on quiet side roads, and the property has racks for storing your bikes. Too much to do and see in just one visit to Beehive Barn. The beach is 5 miles from Beehive Barn near Berwick-upon-Tweed. With the shop, pub and restaurant being 650 yards. Gas central heating, electricity, bed linen, towels and Wi-Fi included. Initial fuel for wood burner included. Cot and highchair available on request. Welcome pack. Enclosed lawned garden with patio and garden furniture. Grounds with grass tennis court April-October (shared). Private parking for 2 cars. No smoking. Holidays at Beehive Barn run from Friday to Friday. Pets allowed at Beehive Barn. For a better idea of where Beehive Barn is, you can see Beehive Barn on the map below. Beehive Barn is in Northumberland; should you be on the lookout for a special offer, you can find all the special offers in Northumberland. It's always worth checking to see what is on offer at the moment. Do you want to holiday near Beehive Barn (UKC1589), you can see other cottages within 25 miles of Beehive Barn; have a look to find your perfect holiday location.